So you want to go on a safari and aren’t quite sure where to start. You’ve come to the right place. As we’ve just returned from our safari to Kenya with Intrepid Travel, I thought the best place to start was at the beginning. 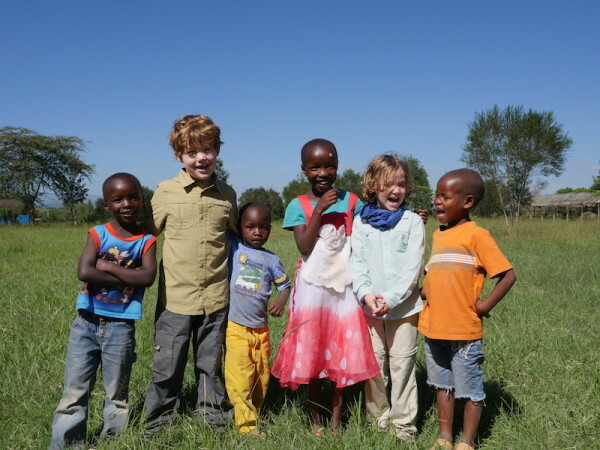 Here is what you need to know about planning a safari to Kenya with kids. 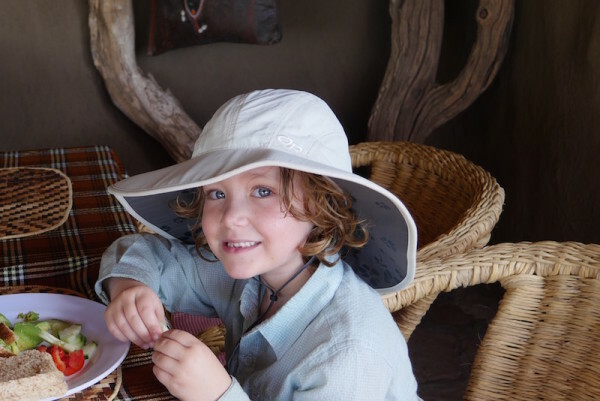 When planning a safari to Kenya with kids, you will want to consider a few factors such as weather and school holidays. We chose to go over Christmas break which meant that our kids actually only missed one day of school. You’ll need at least a 14 day window when you consider the average length of a safari and the travel time required to get to and from Kenya. Door to door, our travel time from Toronto to Kenya was 28 hours but we chose a long layover in Frankfurt to give our kids a break from the plane. In the end, I think they would have been fine with a 2 to 3 hour layover instead. The total time we spent in the air was 16 hours with our first flight being 7.5 hours from Toronto to Frankfurt and the second flight being 8.5 hours from Frankfurt into Nairobi. When deciding what time of year to go based on weather, there is a lot of choice. Kenya has a mild warm climate making it easy to visit almost any time of year. Most tour companies advise you to avoid the rainy seasons that happen in October and November as well as from the beginning of March to the end of May. Its harder to see animals at this time and having wet kids is not always fun. From June until November when the Masai Mara migration occurs; Just be warned that this is the high season for tourism in Kenya and the accommodations and safari parks will be full of people wanting to see all the same things as your family. December Holidays; We loved being in Kenya for Christmas. Everyone we met wished us a very Merry Christmas and we spent Christmas day on a game drive in the Masai Mara. It’s particularly nice to visit Kenya at this time of year as many animals give birth during the rainy season of October and November so there are plenty of babies to see throughout the parks. It’s also a great time to watch predators like lions and cheetahs who can be found stalking groups of smaller animals like impalas attempting to pick off their newborns. 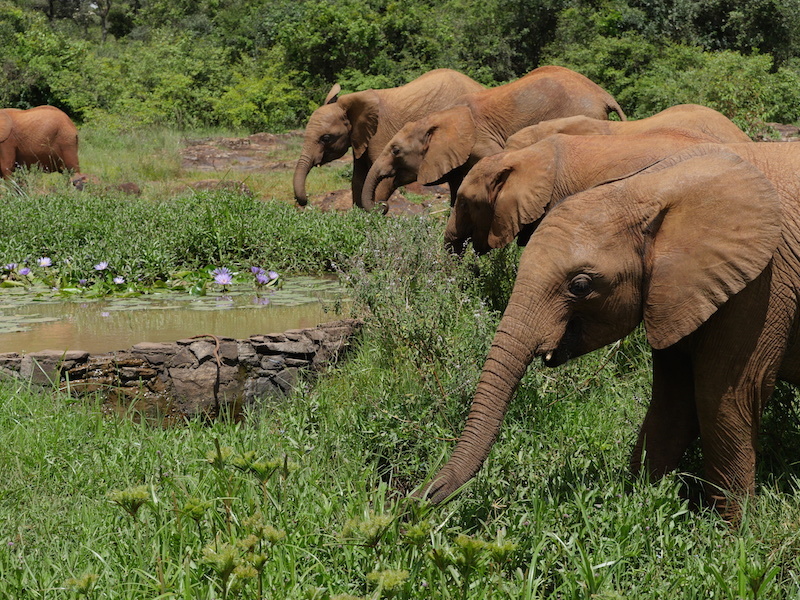 Dry Season; Our guide highly recommended also visiting Kenya in January and February. As the temperatures rise during what is Summer in Africa, a lot of the animals can be found easily around watering holes. Also, the landscape is not quite as green and lush making it easier to spot predators like lions. Once you block out some travel time, it’s time to find a tour company. You will want to look for a tour company that offers family themed trips. We chose to go with Intrepid Travel for a number of reasons. The first being that the Intrepid family trips are structured in smaller groups and require each group on the trip to have a child with them. This was important to me as I didn’t want to spend our safari worrying that our children would be inconveniencing travellers who had none. Secondly, the itinerary was packed with things we liked. There was a mix of scheduled game safaris and some down time which is when we got to do amazing things like play with local village kids, teach Masai warriors how to play UNO and get to know our tour guide, chef and driver while learning about their lives in Kenya. 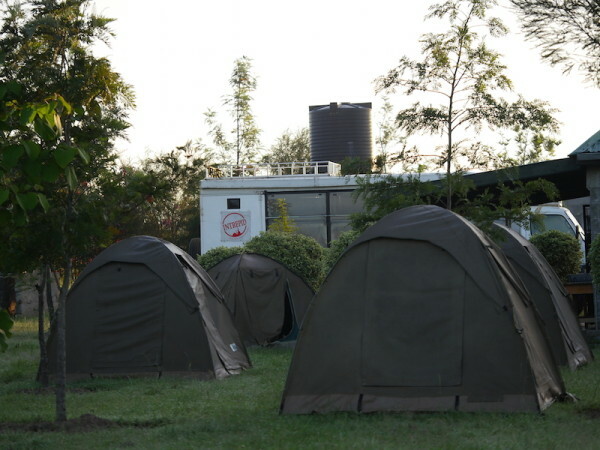 Finally, I loved that the tour schedule offered outdoor camping in Kenya but never on back to back nights unless it was in a permanent tent. This meant that every second night we had indoor toilets, a plus for a city girl like myself. Another big factor for choosing a tour company is accessibility. 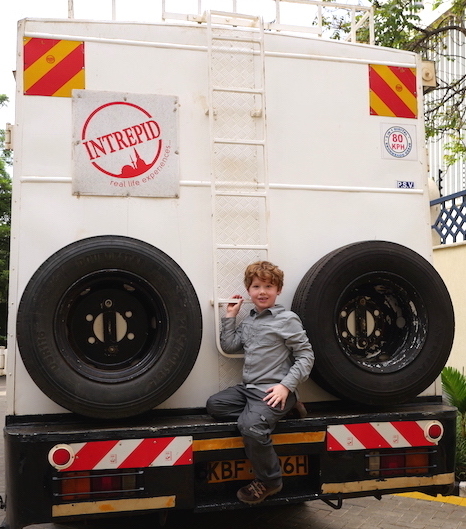 I liked that when I contacted Intrepid Travel, they answered my questions about traveling to Kenya with kids. No question was too silly to go unanswered and all of my concerns were addressed immediately. Charlie has a severe milk allergy and we were reassured from the beginning that our chef would be informed of the allergy and prepared to deal with it. Each meal, Charlie’s food was prepared separately and we were told exactly which ingredients were used to prepare her food. Separate pots and pans were used in preparing her food and separate serving utensils were placed on the table for her use. She never reacted to any of the food and thoroughly enjoyed her meals. Yellow Fever Vaccine (required): Single dose shot and the most painful of all shots received. Kids had very little pain but my arm hurt for a few days. Twinrix Vaccine (Junior): Given in 3 shots to protect against hepatitis A and B. With as much as we travel, I was relieved they were getting this shot. All were quick and easy. No residual pain or reactions. Typhim Vaccine: For prevention of typhoid. Quick shot. No residual pain or reaction. Durokal: Dukoral is an oral vaccine for traveler’s diarrhea. I was most nervous about this vaccine as it was an oral medication and not a shot. It is combined with water and tastes a little like Alka Seltzer. Turns out the kids loved it and asked for more. Malarone: Malarone is used for prevention of malaria and needs to be taken before entering a malaria zone, during the trip and after for about a week. Will was able to swallow the pills easily. For Charlie, we simply crushed the pills into juice and she drank it without complaint. The kids had no reactions to malarone and did not experience any side effects. As soon as you have your trip booked, make sure to visit a doctor as some of the vaccines must be administered in 2 to 3 separate doses. 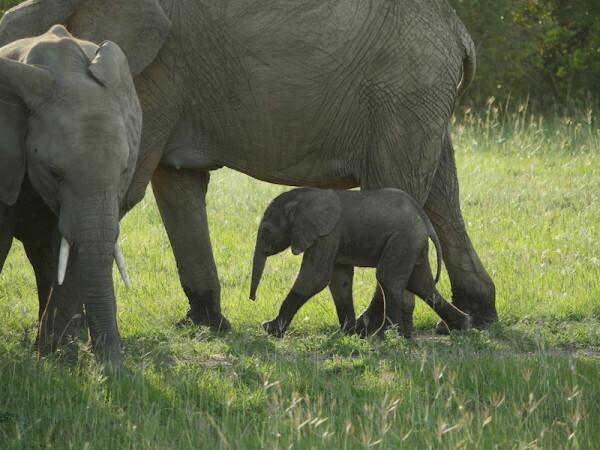 For visiting safari parks with family in Africa, Kenya is always highly recommended! It consists of a lot of famous safaris like Wildlife Kenya Safaris and so on.